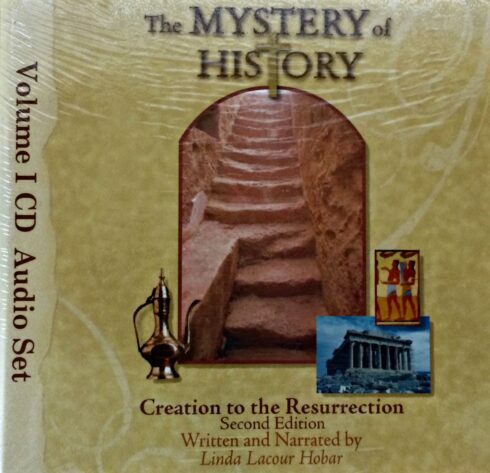 Introducing The Mystery of History, Volume I in an engaging NEW FORMAT! 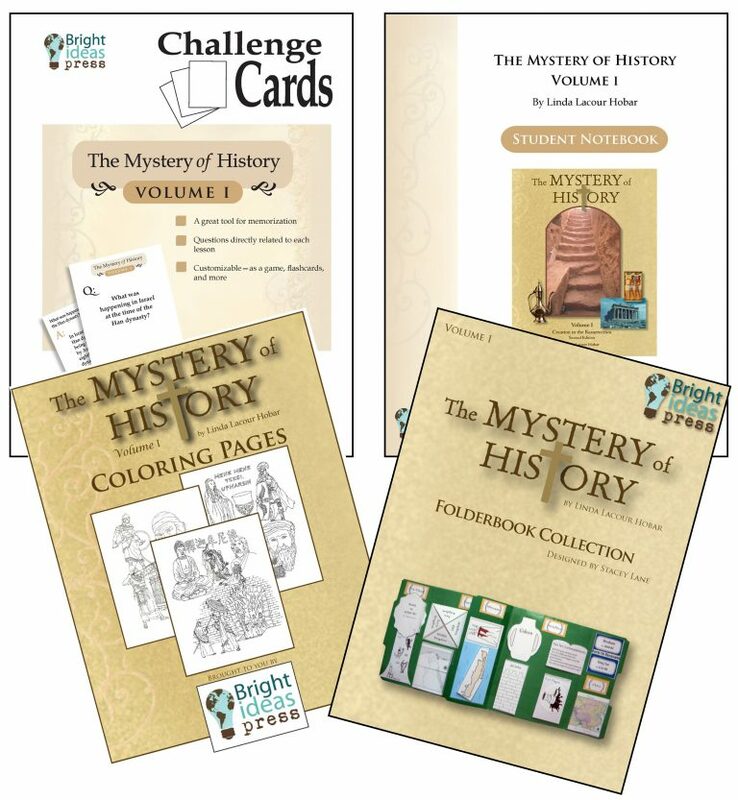 Our 3rd edition of this beloved history curriculum will now look like Volumes III and IV, with a beautiful full-color hardback Student Reader and an improved Companion Guide. As with Volume IV, a download code for a free digital copy of the new Companion Guide will be included in the Reader. We are eagerly awaiting the arrival of this new edition in our warehouse. Enjoy one of the first copies hot off the press! Pre-order today! 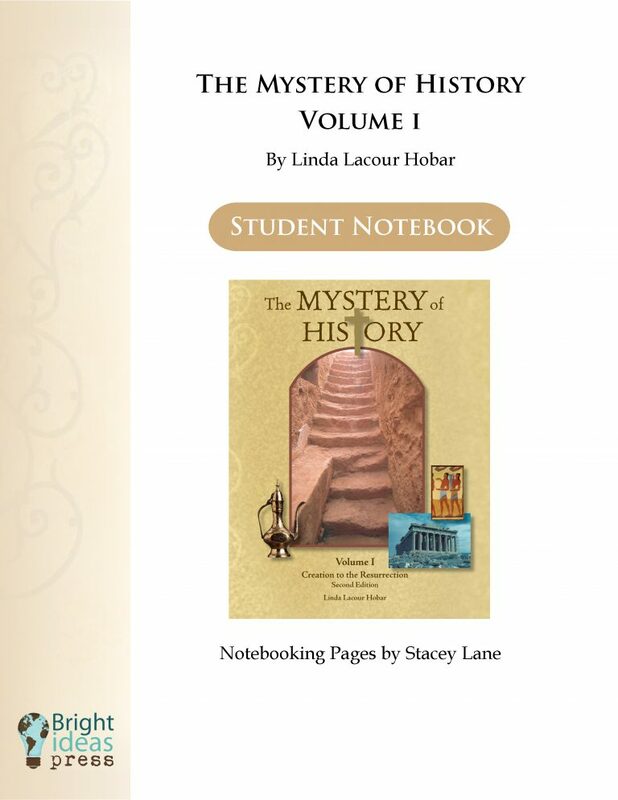 The Mystery of History Volume I is written from a Christian, young-earth, perspective, teaching children to see God’s hand throughout history...and how the Gospel of Jesus is the mystery behind all of history! Written in a conversational style, many lessons are presented in the form of mini-biographies, integrating fascinating stories with the events of the time. 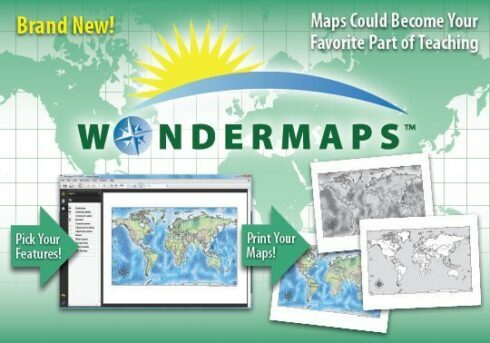 Covering creation to the resurrection, this curriculum is arranged by quarters and weeks; each quarter begins with an “Around the World” summary of events to introduce the time period; lessons progress chronologically, with each week having 3 lessons, a pretest, review activities (including Memory Cards), and exercise or quiz. 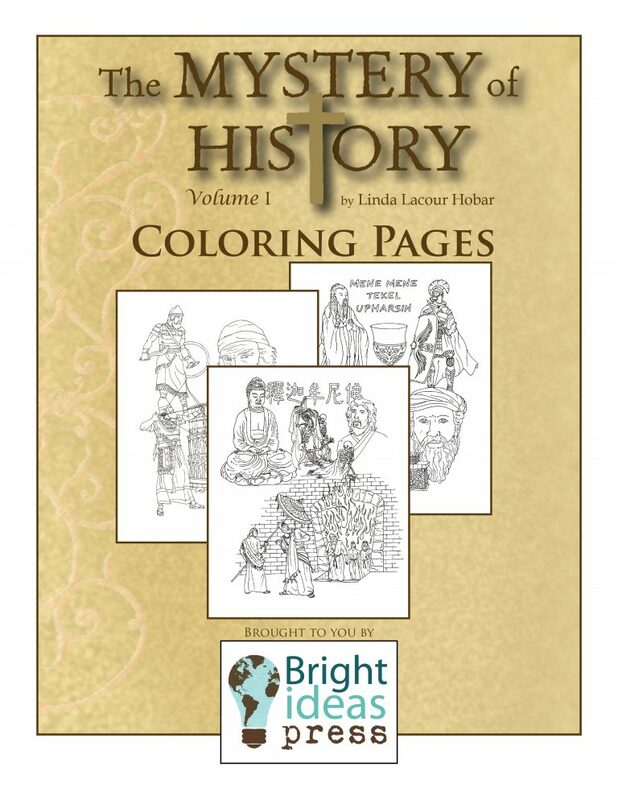 This book integrates the text with write-in activity pages. These activity pages are reproducible for in-family use, or students can write directly on the worksheets. The Student Reader contains 108 exciting lessons in a colorful, easy-to-hold hardback. Divided into 36 weeks, the reader is a stand-alone world history text for all ages to enjoy. 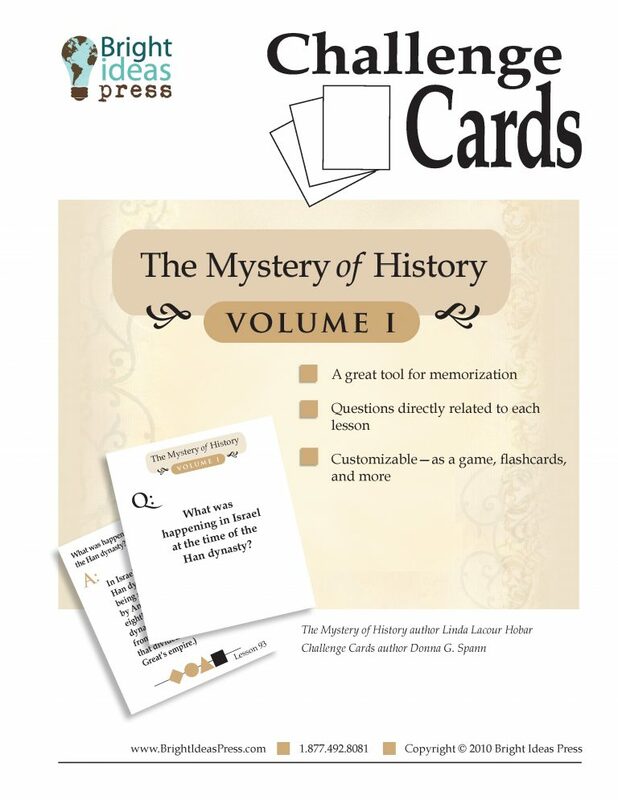 But for those who wish to delve deeper, we have included a download code in each book for a digital version of The Mystery of History Volume I Companion Guide. 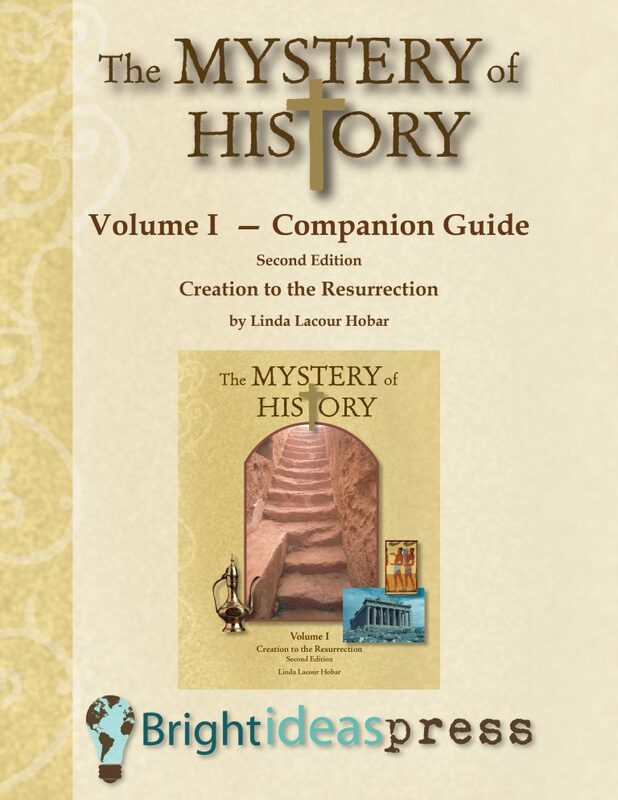 The reproducible resources of the Companion Guide, also written by Linda Lacour Hobar, contain familiar and popular components of The Mystery of History series: pretests; hands-on activities and research projects for younger, middle, and older students; memory card ideas; bi-weekly quizzes and exercises; timeline helps; maps; supplemental book lists; and more.